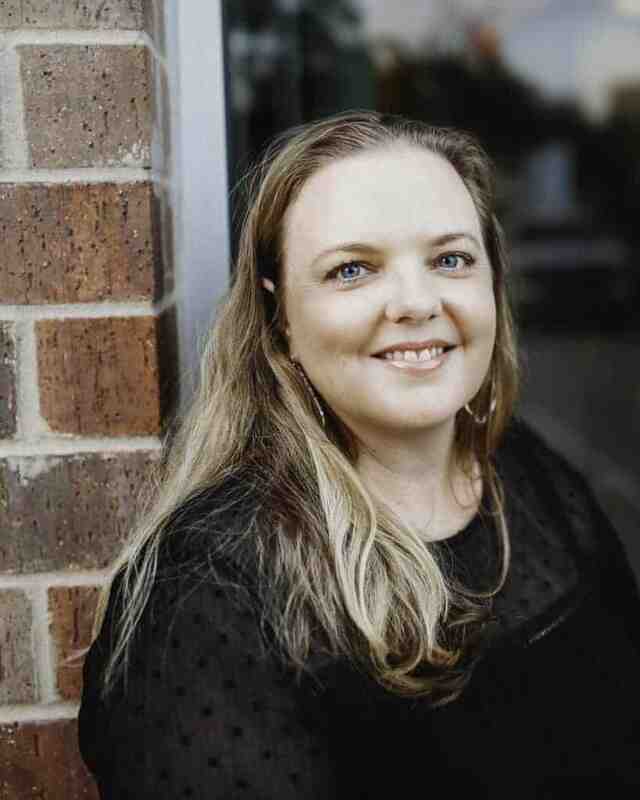 Plano Moms connects moms together, providing support, ideas, advice, builds friendships, and connections in Plano, TX. Our community is where you can easily find local moms seeking referrals, local offers, ideas, news, advice, support, and knowledge. Moms want to know about local organizations & businesses to try and use to boost their family life. Go local, stay local! Plano Moms is the one-stop go to resource for Moms who live, work and play or are planning to move to Plano, TX and surrounding cities. We also cover Frisco, Dallas, Richardson, McKinney, Allen, Little Elm, Carrollton, Wylie and Garland. Knowledge, support, friendship, my village! Are you moving to Plano, Texas? Looking to settle? Our community includes moms who are planning a move, have moved recently to Plano or have lived here for a while. Relocation is a huge topic nearly all moms who are seeking new friends, contacts, and a listening ear when life might get on top of them, with a newborn baby or a hormonal teenager at home. Most moms are wanting to know - which schools are the best, which dentist/doctor should I go to? Who is the best allergist? Which store sells ballet shoes and is open late? You name it, they want to know about it. And they always trust the other local moms to tell them. Maybe you are newly pregnant for the first time or your kids are getting older and your needs are changing? Plano Moms is there. Use our network of moms to provide trustworthy referrals, tips, and guidance in Plano and our surrounding cities. The more you take part, the more you get out of it - found a local bakery whose cakes you love? Share the love. Tell other moms all about it! Hi! I'm Mel. I moved to Dallas with my husband and 3 kids from Sydney, Australia at the end of 2013. When I'm not on the sidelines of the soccer field cheering on my oldest son, my family loves to get out and explore all that Texas and the USA have to offer. We love road trips and camping and all things travel and get away as often as we can. I keep busy with volunteering at my kids' schools and in my community and love working with Plano Moms! 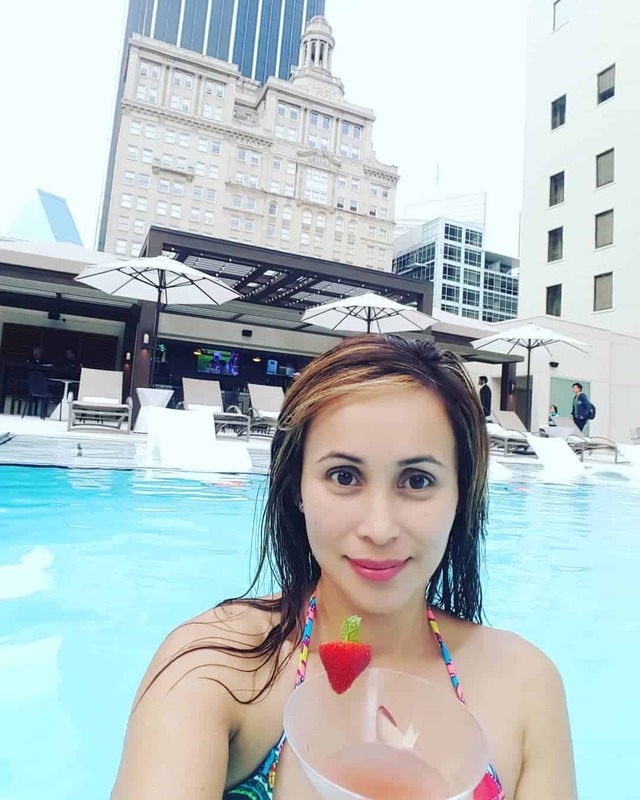 Call me BonBon, I am a Mom of 2 kids, a family travel blogger and a travel advisor. My family loves to discover new places, near and far. And we love to inspire families to travel more, to get out of their comfort zone and explore this wonderful world. Hello! I’m Mary Melissa. I am Dallas, TX born and raised. I’m a stay at home to my busy toddler. 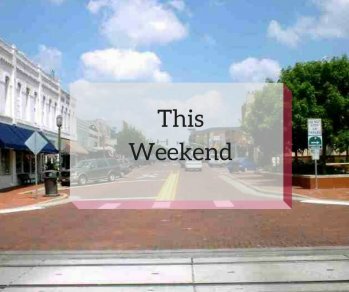 We are park fanatics and make the most of our week by exploring all that our area has to offer. That’s a lot! 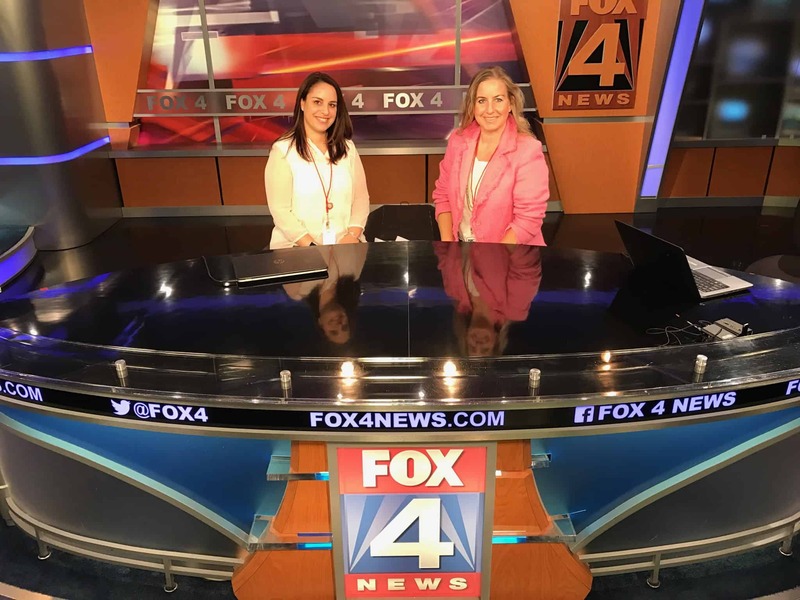 We use all of the resources that Plano Moms has to offer and are grateful they keep us busy. When we aren’t chasing our daughter around, my husband and I enjoy watching as many scary movies as we can. 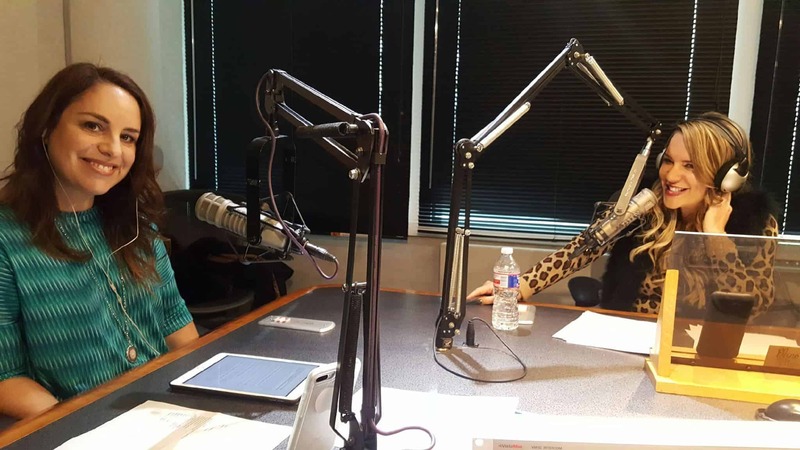 We have been featured on Fox 4 collecting for Toys for Tots and on iHeart Radio 1190 on the Jenna Ryan Show. Every year, Plano Magazine publishes their annual feature for the year. 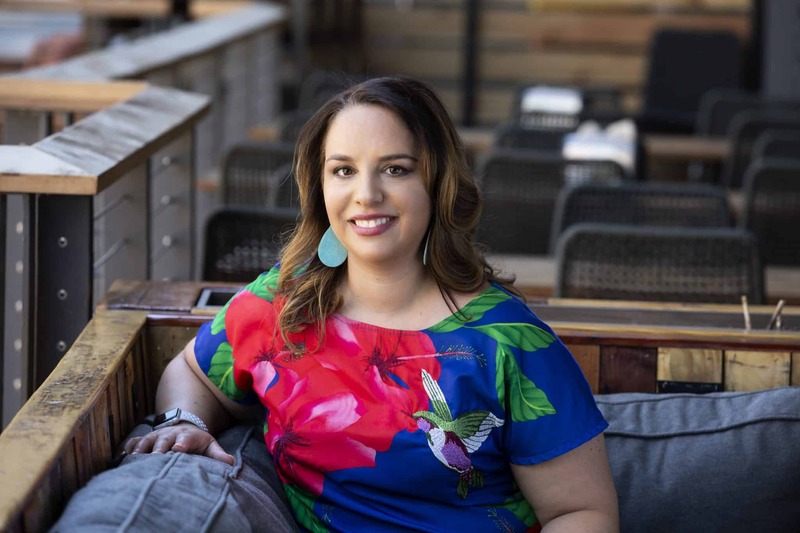 In 2018, Abbie was shortlisted as one of the 9 local Women changing the shape of Plano. 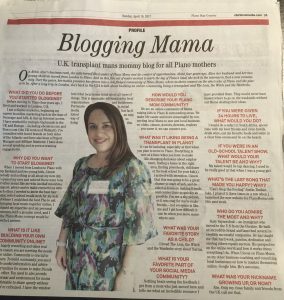 Abbie was interviewed for the feature "Blogging Mama"
Plano Moms is also a proud member of the Plano Chamber of Commerce, Social Media Marketing Society, the Moolah Makers Membership, Hyperlocal Social Media Influencers, a Facebook Power Admin & various Blogging Groups and Associations. 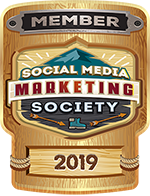 You can find one of the Plano Moms team at Social Media Marketing World, Mom 2.0 Blogging conference and at the Facebook Communities Summit 2019. She is also available for speaking engagements on a number of topics on how to grow your local business online.